Sport is often perceived as being divided into two separate domains: mass participation and elite . In many countries, policy and funding in these two fields are managed by separate agencies, and investment is often seen as a choice between the two. 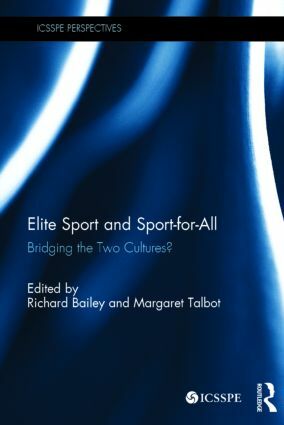 Elite Sport and Sport-for-All　explores the points of connection and sources of tension between elite and mass participation sport. The book’s multi-disciplinary and international line-up of contributors seeks to define, examine, and develop solutions to this problematic relationship. does effective talent identification require depth of participation? do elite performances inspire greater participation? and the economic aspects of their co-existence. The first study of its kind,　Elite Sport and Sport-for-All　addresses a central dichotomy in sport policy and, as such, is important reading for all students, researchers, policy-makers or administrators working in sport development and policy.